What’s the Maximum Effective Range of Buckshot? Shotguns are typically considered close-range firearms, especially when loaded with buckshot. 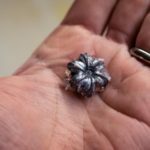 Beyond about 30 to 50 yards, the spread from most shotguns becomes too unpredictable to reliably guarantee that any of the pellets will hit the intended target. But what if circumstances dictated that you had to take that shot anyway? How effective is buckshot at extended ranges? 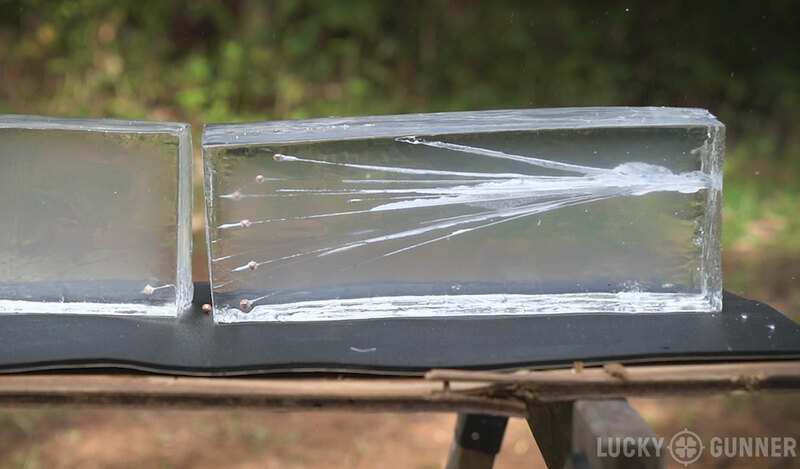 We got out the ballistic gelatin and did some testing at 25, 50, and 100 yards to find out. Details in the video below or keep scrolling for the full transcript. CHRIS: Hey guys, I am Chris from LuckyGunner.com, here with John Johnston from Citizens Defense Research. We’re doing something a little different today. This is a little thing we like to call “Stuff John and Chris Wanna Know.” So John, tell us, what do we want to know today? JOHN: Well, we were talking about it and what we wanted to know was, “how far out can we take buckshot and still have it pass the FBI heavy clothing terminal ballistics standard?” So, that’s what we did. CHRIS: Right, so we’re looking for 12-18” of penetration in ballistic gelatin. So we set up a couple of blocks and shot it at ten feet. That’s our control, that’s what we do with our handgun ammo. Then we took it out to 25 [yards], and then 50, and then 100 yards. We used two different loads: Federal FliteControl #1 and Federal FliteControl #00 8-pellet. We chose those because, well, we like them first of all, but they hold a really tight pattern and it’s not feasible to do this at 50, 100 yards if you’ve got the pellets going all over the place. A 12 gauge Mossberg 590 with a 14-inch Vang Comp customized barrel was used for the test. Federal FliteControl ammo works best with barrels that feature an open choke/cylinder bore. So it was interesting to see the difference between the #1 and the #00. I know that [#00 buckshot] penetrates a little more at 10 feet in the standard test, and for us, we verified that. It was about 14-ish inches on the #1 and around 18 on the #00. Then at 50, the #00 was penetrating about where the #1 was at 25. CHRIS: Yeah, they’re around 1100 feet per second. CHRIS: I don’t know if you guys know about the #1 FliteControl, but it’s a difficult load to get ahold of, so we didn’t have a whole lot of it on hand. So, we didn’t actually test that one at 100, but we had plenty of the #00, so it took us, what, 11 or 12 shells to get 3 pellets in the gelatin at that distance? JOHN: Right. And the other thing, too — keep in mind the forward-facing area of those was like, what, 5”x6”, something like that? CHRIS: I think the gel blocks are 6”x6” and at 100, we put two of them side by side so we had a 12″x6″ area we’re trying to hit with a big buckshot spread that’s only eight pellets. JOHN: Would you still be hitting stuff at that distance? Yeah, but we were more interested in what the rounds are actually doing at that distance. The #1 was starting to fail the FBI test — it was starting to be underneath the 12-inch penetration. CHRIS: Yeah, it was around nine inches at 50 [yards]. JOHN: So, still potentially lethal — absolutely. JOHN: But not passing the FBI standards. The #00 still was. And then when we got out to 100… the #00 was doing what the #1 was doing at 50, which was kind of interesting to me. 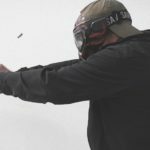 CHRIS: Yeah, so I think if there’s any big takeaway here, it’s that, in most cases — and every shotgun is different — but your pattern is going to become pretty much useless before the pellets are no longer doing what you want them to do. CHRIS: If it’s the only — we could come up with some scenario where it makes sense but it’s going to be pretty rare. CHRIS: Right, and that’s with your gun. We need to mention we were using your [Mossberg 590 with a] Vang Comp barrel that’s optimized for FliteControl. I’ve got a Beretta 1301 that actually patterns with #1 at 25 about like what your barrel was doing, so — probably about the same thing for that particular gun, but I’ve got other shotguns that don’t pattern like that. JOHN: Well, they don’t pattern with anything and that’s the thing — I kind of wonder if most of people’s opinion on shotguns are based off of one shotgun they had that they did this one thing with and then never did anything else. At this point, you and I are both shotgun nerds. Like, for me, it’s still probably my go-to inside of anything where I can reasonably expect a 50 yard shot or in. Past that, then… I don’t’ know. At ranges up to 10-15 yards, the full payload of 15 Federal FliteControl #1 pellets travels as one unit because they are still held together by the special FliteControl wad. When the pellets strike a soft target, they separate from the wad and slam into each other, creating a “billiard ball effect” that disperses the pellets forward in all directions. CHRIS: I guess the big thing is that context is really important and shotguns can do a lot of different things depending on what hardware you’re using and what ammo you’re using. CHRIS: “What does it do?”, yeah. Buckshot will kill you at 100 yards. I think that’s pretty safe to say. JOHN: Yeah…. Yeah. Wait, “will” or “can”? CHRIS: It will if it hits you in the right place, I’d say. JOHN: Right. Kinda like a meteorite. CHRIS: …Kinda like a meteorite John, that’s right. 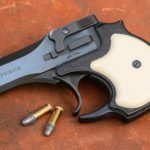 Is .22 LR Too Unreliable for Self-Defense?